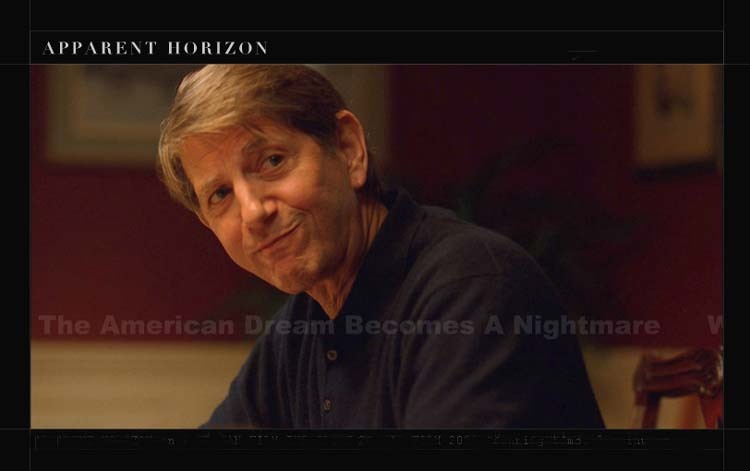 The AFI (American Film Institute) Fest will take place November 1-12 in Los Angeles and among the 36 films competing in the International Shorts category will be APPARENT HORIZON, a 22-minute short starring Peter and Matthew Carey. The film is referred to as an AFI thesis film, written and directed by Thymaya Payne. It will make its premiere on November 6th with a second screening the following day. Peter plays a tortured, lonely widower named Joseph Delaney, who marries Kama, a Thai mail-order bride. She agrees to come to Glendale, California, in an attempt to live out the American Dream. When she moves in with Joseph and his family, she realizes that the ideal American life she has signed up for is an illusion. Unable to cope with the emptiness of his life, Joseph pulls Kama and his whole family into the black hole of his demons. When Kama is soon attracted to Joseph's son Billy, a mentally challenged, but gifted boy, a family feud grows deadly. The film was shot a year ago in South Pasadena and Burbank, CA. Peter played host on Monday evening at the Commonwealth Club of California's Medallion Speaker Series. Musician and huminitarian Carlos Santana and his wife Deborah were invited to speak at the club's prestigious public affairs forum. The couple promoted the Milagro Foundation, their nonprofit organization, as well as Deborah's book "Spaces Between the Stars." PBS recently aired "Oceans in Glass: Behind the Scenes of the Monterey Bay Aquarium" narrated by Peter. This intriguing documentary offers a rare glimpse at the complex operations required to create and maintain the magical exhibits of more than 35,000 animals and plants, and chronicles how the aquarium successfully exhibited a great white shark for a record-breaking 198 days. The film also includes a number of fascinating features of the aquarium, including a kelp forest, a jelly farm and a pipe-cleaning pig, as wel as a hair-raising brush with danger as two divers swim with a deadly great white shark. 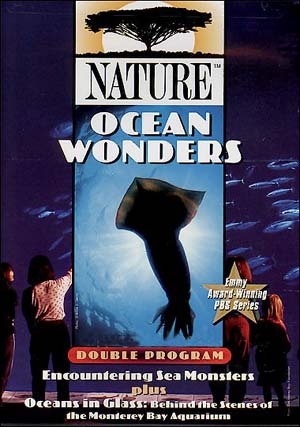 "Oceans in Glass" is a production of Sea Studios Foundation and Thirteen/WNET New York and is available on the Nature series DVD called "Ocean Wonders. Green Planet Films has announced the rollout of their new initiative, a bi-monthly podcast focusing on environmental films. Called Greenstream, your source for eco film news, the podcast was created by Green Planet Films, a nonprofit environmental DVD distributor. Segments include eco film news, a featured DVD, wildlife and environmental film festival updates, and an interview with selected guests related to these films and supporting services. Greenstream's featured guests on the first two episodes will be Peter, the voice behind many eco documentaries. I just finished listening to Peter's interview and as usual, he's terribly interesting and funny as well. He hits upon several topics, including a new project of his called "Outside the Box," which will be featured on Link TV. The pilot will focus on energy issues. He also mentions working on a script that's a fictionalized version of his book, Sleeping Where I Fall. You can access the podcast by clicking here. There's a 55-minute documentary directed by Jim Charleston and narrated by Peter called "Raise the Bar". The film highlights the National High School Mock Trial Competition and follows schools across the country as they put their knowledge of law to the ultimate test. The filmmakers follow several teams and their coaches as they navigate the intricacies of the judicial system, while also drawing on their acting and speaking skills. At each round, a bona fide judge presides over the proceedings and renders verdicts on how the teams presented their cases. Tension and anticipation mount as state champions all over the U.S. head to Florida for the finals. Team goes against team until representatives from the last two states battle in the final. More details and purchase information can be found at this link. 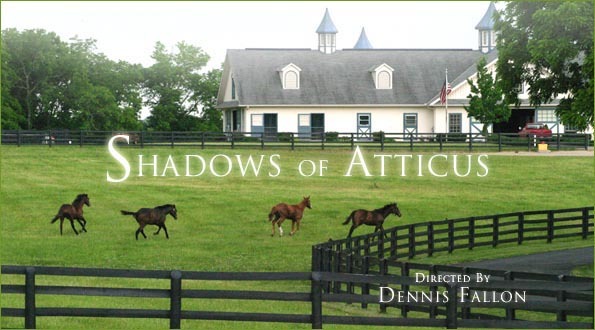 SHADOWS OF ATTICUS, a Waldo West Production, is slated for release on March 7, 2007. However, in an interview last week in the Kansas City Star, Peter's co-star, Bruce Heinrich, revealed it might be screened at the Sundance Film Festival in January. Heinrich, who plays Jude Law's father in All the King's Men, also said the name may be changed to THE LONG ROAD HOME. California Governor Arnold Schwarzenegger recently signed a bill, SB1379, sponsored by Democratic Senate President Pro Tem Don Perata of Oakland, creating the nation’s first biomonitoring program to measure chemical contamination in the general public. Dangerous amounts of toxic chemicals such as mercury and the pesticide DDT were found in the bodies of our very own Coyote, newspaper columnist Steve Lopez and other prominent Californians during sample tests conducted to promote the bill this year. The new law will make the results of voluntary testing available to public health planners. 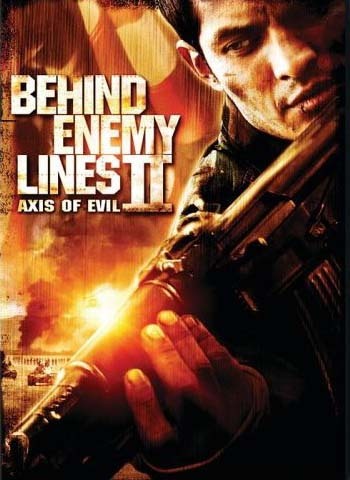 Twentieth Century Fox Home Entertainment has announced the release of its direct-to-DVD sequel BEHIND ENEMY LINES II: AXIS OF EVIL. The DVD includes an audio commentary by writer/director James Dodson as well as two featurettes. The action-packed sequel follows a team of Navy Seals on a top-secret mission to North Korea, where they plan to destroy a missile site. But when things don't go as planned, four of the men find themselves stranded, forced to take on rogue elements as they fight their way to safety. First, however, they must make sure their mission is carried out, saving the world in the process. Coyote gets to play the US President this time around! The cast includes Matt Bushell, Keith David, Bruce McGill, Nicholas Gonzalez and Shane Edelman. This DVD will be available on October 17, 2006, as both a standalone release and coupled with the original film in a two-pack. You can check out the trailer at the IMDB. There's a documentary in production called "Call of Life: Facing the Mass Extinction," produced by Species Alliance and narrated by Peter. The film explores the mass extinction, its six main causes, the cultural myths and values that drive it, the psychology that underpins it, and the latest insights into natural systems that could help us turn back the tide. In interviews with leading psychologists, historians and anthropologists, the inextricable links between the extinction crisis and social and economic problems are examined. Also explored are the ways in which culture and psychology have conspired to determine our collective and individual response to this situation. The filmmakers hope to present their film in upcoming film festivals. A ten-minute video of the feature-length film can be viewed here.